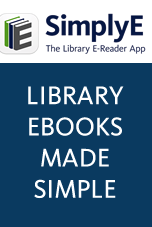 Great deals for eBooks, eAudio, and more! As a global leader in the eBook industry, ODILO offers innovative resources for the discovery, management, and distribution of digital materials. ODILO helps libraries better serve their patrons with an easy-to-use platform, quality content, native foreign language materials, and flexible lending models to work within any size budget. OdiloTK - the most intuitive and easy-to-use eBook platform! Looking to change eBook providers? Or just want a strong complement to your existing provider? Then check out OdiloTK! Multiple lending models - to let you control and stretch your budget. Quality foreign language titles - as the largest provider of Spanish eContent (eBooks, audiobooks, magazines, streaming films) via a Spanish platform, ODILO helps libraries further engage their growing Hispanic communities. With over 85 languages offered in total, (many in our innovative Pay-per-Use model) support other foreign language readers as well. Flexible platform - ingest and offer your own digital content (i.e. local history, local music, self-published authors, videos, and more) with ODILO's Bring Your Own Content (BYOC) unique functionality! Save money! No annual platform fee (with minimal spend), plus 10% content credit on every purchased title. eBookClub - a social reading experience like none other! Perfect for millennials, homebound patrons, or busy readers with no time for face-to-face bookclubs. Offer several book clubs at one time. Customizable clubs to feature reviews, author info, library messaging, or even live chat! Easy administration, including allowing staff or volunteers to be club moderators. Offer your community any type of digital content (eBooks, music, videos, local history, self-published, content from preferred publishers, etc.) using the OdiloTK BYOC platform. The easy admin tool allows uploads (individually or bulk) of PDFs, ePUBs, MP3s, MP4s, JPG, PNG, and other digital files. Check out Indy Reads for an example. Contact Mark Eaton, your ODILO rep, via email (mark.eaton@odilo.us) or call 248-766-5866.